A classic road racing course nestling in the rolling countryside at Lexington, Mid-Ohio grew from relatively modest origins to become one of the most significant circuits in America. With its lush green surroundings and challenging layout, Mid-Ohio is a firm favourite of both competitors and spectators alike. The track was the brainchild of Les Griebling, who convinced a number of friends from the local business community to invest in a road course for weekend sportscar racing. A few hundred acres of pasture in northwest Morrow County were quickly identified as a suitable site and ground was broken in 1961. By the following year, a challenging course designed by Griebling was ready for action. "A lot of people were building courses and I said we'll build one that's a little better," said Griebling. "I wanted it to be difficult and it came out my way. It's very interesting because the driver is busy all the time." By following the contours of the land, a series of twisting and plunging corners was created, linked by a fast kinked back straight. Two signature corners - the Keyhole and the the Carousel - provided additional challenges for drivers and riders. The original course was mildly modified earlier in 1963 to address concerns raised by the drivers that it was too slow; Oak Tree Bend (which as its name suggestions, wound around an oak tree) was removed and the Thunder Valley section added in its place. Some small traces of tarmac from the original bend remain today within the infield. For nearly 20 years, the circuit continued under Griebling's control, with a variety of categories making it a regular stop on their schedules. Can-Am and F5000 all raced here, with notable names such as Denis Hulme, Peter Revson, Bruce McClaren, George Follmer and Jackie Stewart all coming to north central Ohio to sample its unique challenge. CART Indycars arrived in 1980, with Johnny Rutherford taking victory in the Chaparral. In 1981, Jim Trueman - founder of the Red Roof Inns restaurant change - purchased the facility from Griebling and his fellow investors and set about transforming the track. Trueman was himself a road racer of note and was convinced that Mid-Ohio could become one of the USA's premier racing venues. Under his direction, the track underwent major renovations, including the addition of permanent grandstands, amphitheatre-style seating, garages with viewing balconies and several buildings such as the iconic Goodyear Tower and a redesigned paddock area. In 1985, Trueman's own Truesports team won the Indycar event in the hands of Bobby Rahal, a feat repeated the following year in emotional circumstances, coming a month after Trueman's death from cancer. Trueman's wife Barbara and daughter Michelle undertook management of the facility in 1986, continuing track improvements throughout the decade with the resurfacing and widening of the entire course, as well as the addition of safety enhancements such as tyre, guardrail, sand and cement barriers, spectator and debris fencing, and gravel runoff areas. Part of these changes included the construction in 1990 of a new link road through the chicane, creating a longer straight from Turn One to the Keyhole. 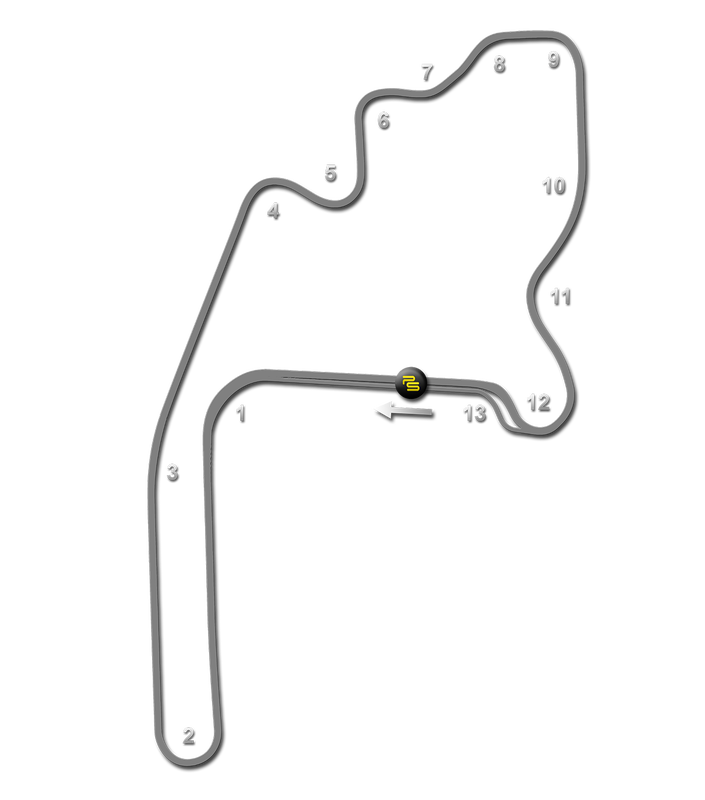 This variation of the track was generally preferred for major series races, including the Indycars, from then on. In 2006, the track again underwent extensive renovation. The track and pit lane were completely resurfaced, removing the concrete patches from the turns and installing standardised kerbing across the whole course. New link roads were also added in the track's famed Keyhole section to allow for three separate road course configurations, two of which could be run concurrently. On March 2, 2011, it was announced that the track had been purchased from Truesports by Green Savoree Racing Promotions, which currently also promotes the Indycar street courses at St Petersburg and Toronto, ending Truesports' 29 years of ownership. Today's racing schedule includes the Honda Indy 200 event, a round of the NASCAR Nationwide series, AMA Pro Racing and vintage motorcycle and car events in a compact calendar run between June and August. The circuit is also home to the Mid-Ohio School, which was found in 1993 to offer licensed drives and motorcycle riders programs in defensive driving, high performance driving and performance track riding.